According to the U.K.’s Health and Safety Executive’s (HSE) Offshore Division (OSD), almost 400 offshore hydrocarbon releases had been reported between April 2010 and April 2013, around 45% of which were classified as major or significant incidences. Regardless of their size, subsea leakages are a foremost concern for the industry. This issue extends beyond the considerable costs of product loss and repairs, but considers human injuries as well as significant environmental impacts. Therefore one of the most important attributes for a detection package is to achieve early warning of small to medium sized outflows for monitoring and immediate corrective actions. Leak detection is a continuously evolving area of oil and gas industry activity; the approaches remain the same amidst unremitting development of monitoring technologies and detection systems. There are a wide range of methods available depending on the type of application and approach. However, deciding on the best course can be complex and not with guaranteed success. The approach used by operators can be influenced by the location of the pipeline, accessibility and the medium to be detected. For instance, a pipeline buried two meters under the seabed or encased within concrete, will increase the difficultly of locating the source of a leak, and some areas are not accessible by remotely operated vehicles (ROVs) making use of point sensors problematic. Although the industry has seen a reduction in reported leaks, there are still gaps to fill concerning the design, engineering and operation of leak detection systems, not only make them reliable for the discovery of an outflow, but to quickly pinpoint the exact position of the source. The recent increase of deep sea and arctic development, as well as the continued activity in locations worldwide, emphasize a need for an industry reference in this technology field, which can serve as a guideline today and a tool for coordinating development in the future. This article looks at the chemical and acoustic approaches used by the industry, and discusses the advantages and limitations to each method. There are two measurement principles used by manufacturers when designing these sensors. The first principle refers to semi-conductor systems, designed so that an electrical signal is produced from a change of resistance triggered when the methane is detected within an internal component inside the sensor chamber. Alternatively, the optical non-dispersive infrared spectrometry (NDIR) method, measures the concentration of methane as a degree of absorption of infrared light at a certain wavelength. The sensitivity of methane sniffers is dependent on the distance to the leak and the drift of the leaking medium; even so, the detection of hydrocarbons in the water using this approach can be a sluggish process. The primary advantage is that most of these instruments are very sensitive to slight concentrations of gases, detecting even the smallest of leaks. The disadvantages of this technology lies in the response rate which can result in slow detection times, as well as the limitation to the local area from which the gas is drawn into the probe for analysis. It has also been reported, that chemical based sensors can become saturated in high concentrations. Therefore, the cost of monitoring long pipelines when relying solely on gas sampling methods has the potential to be high and in most cases is best accompanied by sampling additional parameters. Fluorescence forms the basis of one of the most widely used and effective approaches to subsea installation leak detection. Fluorescent detectors excite molecules within the medium to a higher energy level by using a light source of a certain wavelength. The molecules then relax to a lower state and light is emitted at a different wavelength which can be picked up by a detector. The use of this approach requires the presence of either the mediums natural ability to fluoresce or fluorescent tracers to be added to the medium being detected. For hydrocarbon leak detection, is it most convenient that crude oil has significant natural fluorescence and the detectors can potentially differentiate between hydraulic fluid and oil leaks due to signature differences within the fluorescence spectrum. The identification of large leak sources have often been located by visual observations from divers or cameras within the water. However, subsea fluorescence technology can provide a more effective detection system and are less restricted by depth whilst offering the potential to reduce the quantity of dye required. 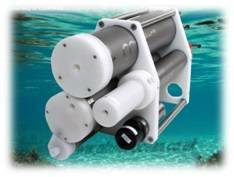 These detectors can be point sensors and have been used successfully with ROVs as well as the potential to provide an indication of leak size from the relative signal intensity. Turbidity within the water column however, can impede recognition of the desired medium. The development of sensors using this technique is advancing, leading to the emergence of long range systems, which allow the detection of leaks within confined structures where ROV access is not always possible. The medium being transported maintains much of its temperature while travelling through subsea pipelines. Insulation of the pipelines slows the heat transfer and cooling process of gas and oil, preventing pressure loss, reduced flow rates and clogging of pipelines. Therefore when a leak occurs subsea facilities can monitor temperature gradient changes in the environment to locate outflows along the pipeline where the leaking medium is above or below ambient seawater temperature. Although temperature sensors are unable to differentiate between materials, the sensitivity and response time of some high grade sensors make them effective instruments which are easily used singularly or integrated into leak detections systems. Sensors are available that will resolve to 0.00025 °C (0.25 mK) with an accuracy of 0.001 °C enabling tiny changes to be detected. 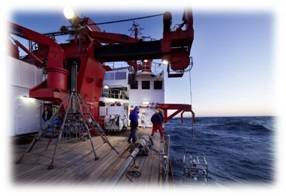 Deeper waters and polar environments find decreases in temperatures and the increased requirement of antifreeze in gas pipelines. Mono-Ethylene Glycol (MEG) is introduced into the pipelines as an antifreeze and anticorrosion agent, to allow the gas to flow continuously in cold climates. MEG sensors are slowly being introduced as a leak detection solution in some parts of the industry, with a number of instruments in current development or already presented in the field. The use of acoustic technology in the leak detection industry has been available since the 1980s and is becoming increasingly significant as a leak detection method due to advances in smart hydrophone technology. Passive acoustic detection for subsea facilities use hydrophones to detect leaks based on drops in pressure and changes in the background noise pattern. As long as there is a sufficiently strong pressure wave, passive acoustic sensors are not dependent on the chemical compound of the leaking medium. Identifying small leaks can be a limitation to this technology as the acoustic waves may be shadowed or the measurement disturbed by background noise produced by vessels in the vicinity, and a sufficient drop in pressure is required for the method to be effective. Acoustic emissions produced by outflows tend to be at frequencies of 30 kHz and above, therefore sophisticated software should be able to calibrate out lower frequency sounds generated by host vehicles etc. The advantages of this technique include detection of the exact location of the leaks, minimal interference with pipeline operations and the instruments tend not to be affected by seawater currents and turbidity. Overall this approach is highly successful, due to improvements in the simplicity of data analysis and modernization of visual software. Low noise, high resolution instruments connected to real-time visualization software allow operators to construct a library of leak signatures making leak location even more effective. 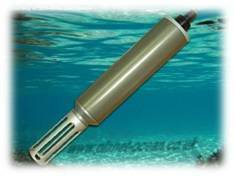 Smart Hydrophones also provide for real-time correlation of spectral signatures within the instrument which will in time lead to fully automated systems. Engineers based in Ireland recently trailed acoustic detection methods on subsea wind farm power cables in an attempt to locate ruptures in the casing which can sever the electrical conductors. Patrick O’Rourke explained, “We were working from the basis that when we injected current into the fault, electrolysis would occur at the fault location offshore and produce bubbles which the hydrophone could detect. Our concept was correct and we were able to visually see bubbles emerging from the fault after we found it.” Unfortunately in this case, the acoustic emissions from the bubbles were masked by the volume of background noise caused by the vessel used on the project, even after the ambient noise was calibrated out. Another issue they found was the frequency at which the bubbles could be detected. 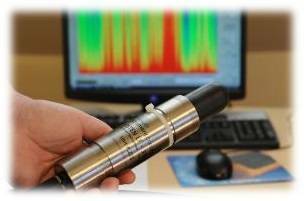 With adjustments to the technique and the availability of wideband, low noise, high sensitivity smart hydrophones, it is possible for acoustics to be utilized in other applications in the future. The approach used for subsea leak detection depends on the characteristics of the pipeline and medium to be detected, as well as the capabilities of the instrumentation. The performance requirement of the instrument will influence whether a single parameter or integrated system is recommended. 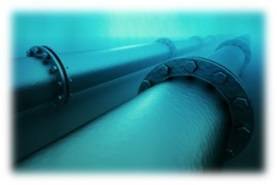 For example, routine inspections of pipelines may achieve desired results with a single sensor chosen based upon the medium, location and ambient conditions, but to locate a known rupture quickly, multi-parameter solutions may prove more efficient. Complementary technologies should be considered as an overall leak detection package, as multi-parameter solutions can compensate for the respective weaknesses and allow the indication of a leak event from one system, to be supported from the other(s). The issue with combining sensors, however, is the possible increase in complexity involved with the subsea operation and data handling, as well as the additional price tag of multiple purchases. Specifically designed integrated systems are available at a package cost, and should help streamline the overall experience. Research into the various sensors and products available will also be a vital step, as manufacturers are continuously developing and improving instruments to eradicate previous limitations.